The BBC revealed the salaries of its entertainment stars and top journalists on Wednesday. The data, which was being published for the first time, betrayed an embarrassing fact: It's paying its female stars a lot less. The company on Wednesday published the salaries of all employees who earn more than £150,000 ($195,400) as part of its annual report. The figures showed that just under a third of the media giant's top paid executives, managers and media stars are women. Only two women -- the hosts Claudia Winkleman and Alex Jones -- are among the top 14 on-air earners at the British public broadcaster. BBC director general Tony Hall defended its pay practices, saying his goal is to achieve equality on the screen and on the radio by 2020. "Over the last three years, of the new people we've either promoted or put on our screen or radios, 63% were women -- is this progress enough? Absolutely not," he said in an interview with the BBC. Hall said that the gender pay gap, which measures the difference in average earnings between men and women, is 10% at the BBC. That's better than the nationwide figure in the U.K., which stands at 18% according to official data. 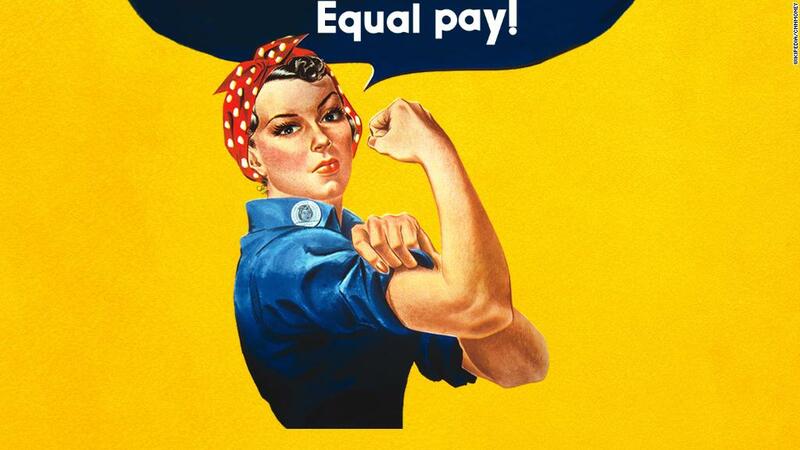 Starting next year, all large companies in Britain will be required to publish some information on gender and pay. The government required the BBC to publish its pay data as part of an effort to improve transparency. The threshold for disclosure was set at £150,000 because that's roughly what the prime minister earns. The highest paid personality was host and producer Chris Evans, who earned over £2.2 million ($2.8 million) last year. The earnings were disclosed in ranges. Some stars were bracing for criticism. Gary Lineker, a former soccer star turned BBC commentator, earned over £1.75 million ($2.3 million), the second highest salary at the BBC. He joked about blaming "the other TV channels that pay more." "Now where did I put my tin helmet?" he asked on Twitter. The BBC has for years resisted political pressure to reveal its salary data. "I don't think it's right that we should have names against salaries for stars, for presenters, for others," said Hall. "But look, we put these arguments out there and we lost." The BBC is funded through fees paid by its viewers, who are required to shell out £147 ($191) a year. The broadcaster says it needs to pay its stars in order to compete with commercial TV stations with deeper pockets. On Wednesday, the BBC said that a recent survey it had commissioned showed nearly four in five Brits think it should be able to employ the highest quality presenters, actors and reporters, even if it means "paying similar to what other broadcasters pay."